Power Star Pawan Kalyan’s last film Agnyaathavaasi has become a huge flop at the box office. The movie resulted in a negative criticism for everyone involved in the project especially the film’s director Trivikram Srinivas. Meanwhile, the surprising aspect is that the film has set a new record. 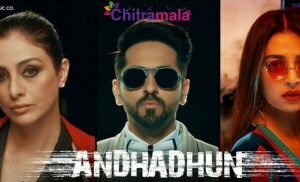 After almost 10 months of the film’s release, the film’s Hindi version recorded an achievement on 20th October when it got released on Youtube. The film got 9.4 crore views in just 24 hours. Almost 1.60 Crore people have watched the movie and it got 2 lakh likes. The film released in Hindi with the title Yevadu 3 and broke all the existing records in the particular category among the South movies. Directed by Trivikram, the film has Keerthy Suresh and Anu Emmanuel in the female lead roles. S Radha Krishna produced the movie.